An uproar has sounded in the world of film criticism around Kathryn Bigelow’s new film. The problem is no one really knows what we are talking about when we talk about Zero Dark Thirty. It is being bashed on the one hand from activist writers like Glenn Greenwald at the Guardian and on the other Senator John McCain. At the same time, it’s sweeping awards. The basic question here, the source of the fundamental divide, seems to be: can a movie ever really be just a movie? Zero Dark Thirty tells the story of a CIA woman whose dogged determination to hunt down Osama Bin Laden eventually leads to the now famous raid on his compound in Abbottabad. The movie begins by asserting that it is based on first hand accounts and then plunges the audience into 9/11 by playing the audio from emergency calls recorded on that day. We then jump a few years down the road to one of the notorious black sites where the CIA is torturing a man for information on Bin Laden’s whereabouts. This scene is the source of much of the antipathy between political writers and film critics because, according to McCain and other officials, it appears to be a complete fabrication. The information used to track down Bin Laden did not come from tortured detainees. Why, the film’s foes have asked, depict torture as the method that shook loose the first information that led to Bin Laden when that was not in fact the case? Kathryn Bigelow’s response has been that it is a work of fiction and therefore has no duty to stick faithfully to the events as they actually occurred. The movie’s proponents have clung to this notion, Indeed, the text at the beginning does not say that this is a first hand account, but that it is based upon them. Creative license must be expected. Yet, there is something more disturbing than mere deviations taking place, something that has been lost in most of the controversy surrounding the film. 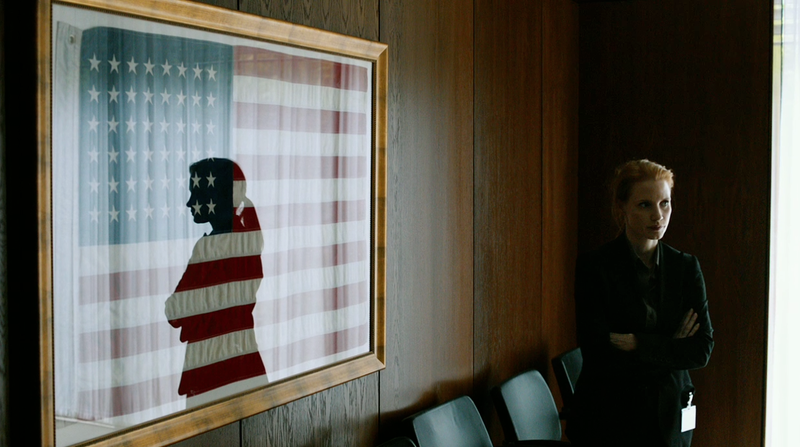 Whether or not the movie appears to justify torture as a terrible means to an end, Zero Dark Thirty still represents the current high water mark for government embedded filmmaking. As has now been detailed, the director and producer, Mark Boal, relied heavily upon information provided by an administration that has been reticent at best to share the same documents with journalists. In taking on a world-historical event in less than two years time from the event’s occurrence, Zero Dark Thirty places itself squarely in the center of the battles raging over the nation’s alleged transgressions and crimes. That Bigelow was given access that others were not is not her fault, but the film can be faulted for following the party line. When we say something like this is purely fiction, we are deceiving ourselves. The movie’s draw is not a Tarantino-esque revenge fantasy, it is the retelling of a fact: the CIA did hunt for Bin Laden and a SEAL team did fly through Pakistani airspace, launch a raid and returned with a corpse. Credit must nevertheless be given where it is due. Bigelow is at her best in the final sequence, where she succeeds in drawing out tension in a scene with an already known ending. By keeping her camera close to the SEALs’ bodies she refuses to allow the audience to know any more than they do. Whatever is around the corner will only be revealed when they put themselves in harm’s way. Bigelow does this throughout the film, showing only what the CIA thinks it knows or what is happening at that moment. The only major break away from our protagonists’ perspective follows a group of Al Qaeda gunmen as they run through a hotel in Mumbai. This brief scene serves as the most revealing for the film’s point of view. The gunmen are not given lines or apparent motivations, they are simply deployed before the camera as senseless killers. The film, whose narrative is necessarily fractured as it covers a decade, creates an atmosphere in which random attacks pierce the West’s sense of security, making it all the more remarkable that the War on Terror, the context for “the greatest manhunt in history,” is always framed as something taking place elsewhere. Afghanistan and Iraq are mentioned, but the war’s violence is seen as separate from that of the terrorists. The conflict is shown as one between a desperate nation and a violent, powerful organization. Film lovers will know the famous saying “when the legend becomes fact, print the legend.” The problem with Zero Dark Thirty is that it has presented the legend before the fact. In all the aesthetician’s quarrels about whether life imitates art or vice versa, we have rarely been presented so clearly with an example of a subject’s art image preceding the journalistic one. After the mission’s success, Bigelow’s camera takes great care to only hint now and again at the macabre serenity of Bin Laden’s face, and for good reason. Save Bigelow, Boal and a select few government few officials, it will be the audience’s first look at the visual fact of his death. Even if one believes that a movie is just a movie, prepackaged and meant solely to entertain or edify, Zero Dark Thirty stands out, because it has given us the myth before anyone even knew the straight story. It is only the second significant public engagement with the raid on Abottabad, and the first involved Americans wrapped in flags and dancing in the streets. Written by: Blair McClendon on December 30, 2012.